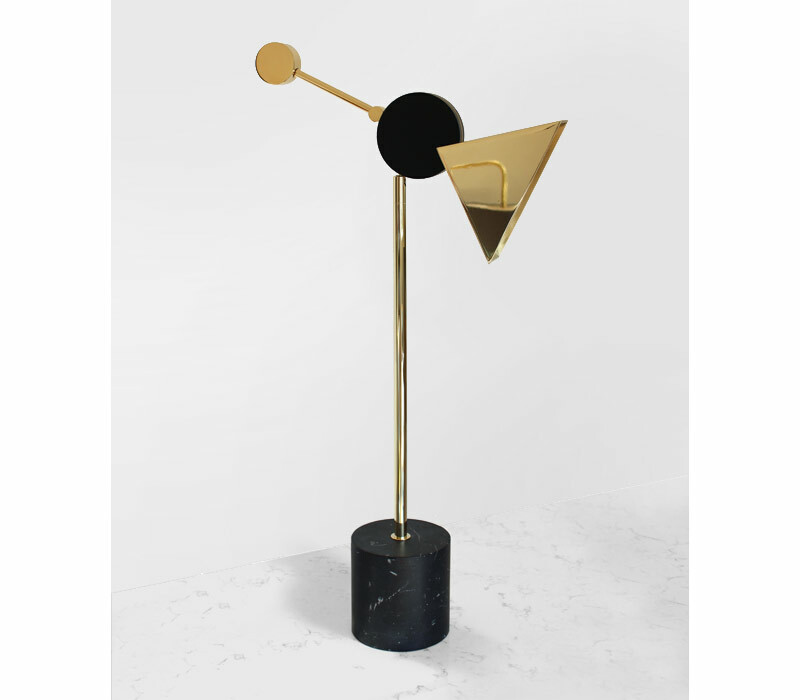 Our special Limited Edition Cairo Table Lamp designed by Martin Huxford, has won the prestigious Best Table Lamp at the International Decorative Lighting Darc Awards 2018. Available in a special limited edition of 50 numbered pieces. 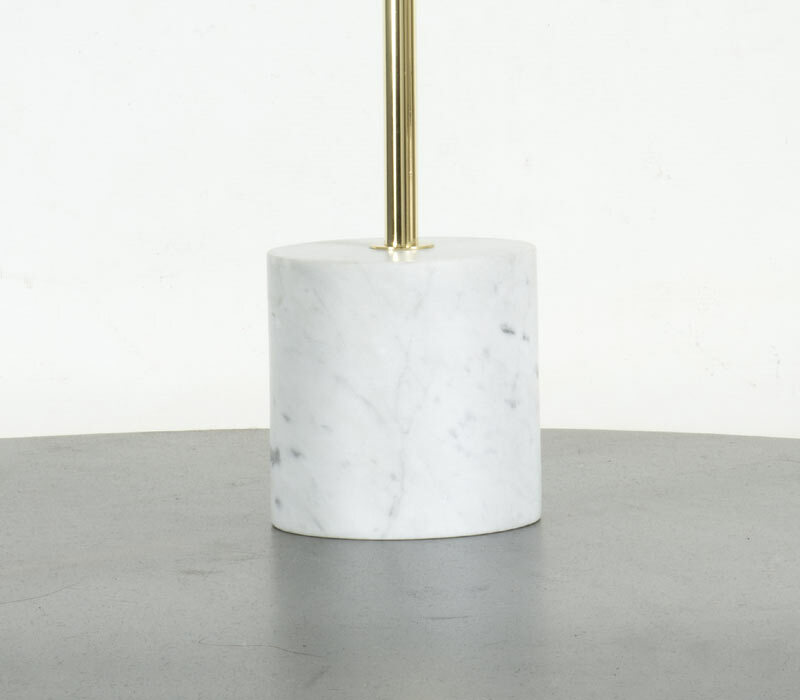 Each lamp is individually hand crafted at our Sussex workshop, using solid brass and fine Italian marble. 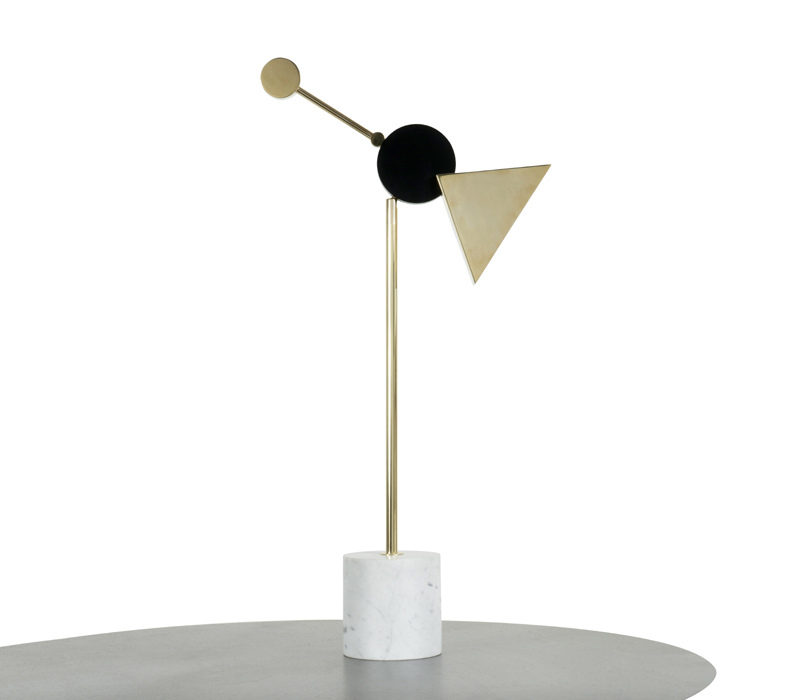 The Cairo Table lamp references the influential aesthetics of Constructivism in its spatial geometric abstraction, the balancing and piercing of geometric shapes and the vertical movement of the lamp head. The Cairo Table Lamp is composed from bold geometric shapes of cylinder, circle, triangle and line, with the pattened profile of these forms emphasising the 2 dimensional graphic outline of the lamp. 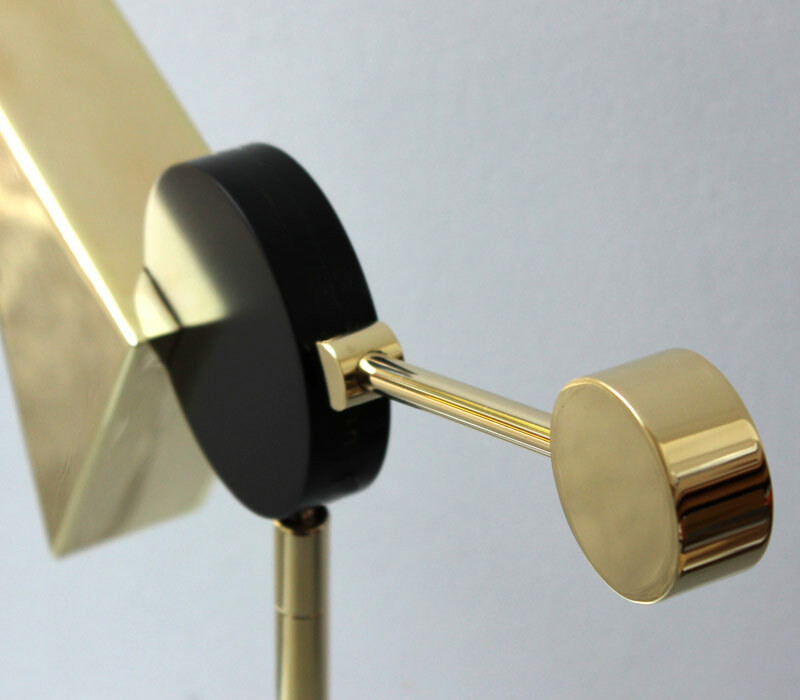 The lamp pivots on top of the narrow brass pole, and is counter balanced by a solid gold plated disc. Vertical movement allows the LED spotlight to illuminate specific surfaces or to spill light across a wall. 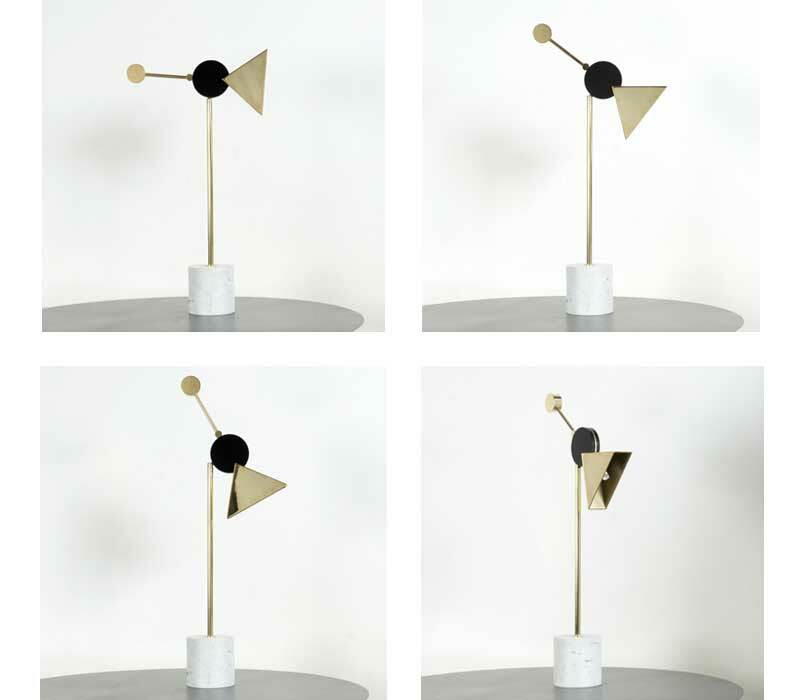 Finishes: Available in satin brass & black or white, polished brass & black or white. Carrera marble or Nero marquina marble base.